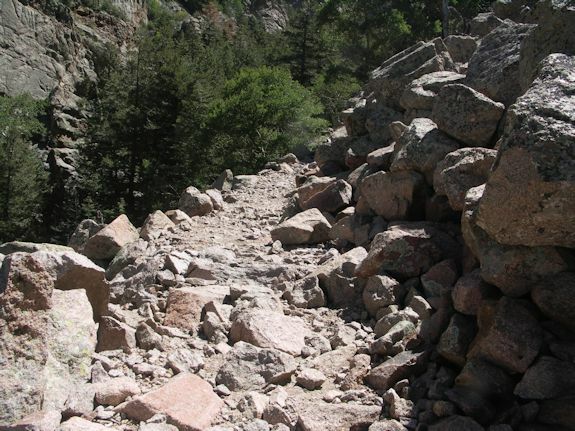 La Luz Trail Head and Parking area is temporarily closed for reconstruction along with National Forest Service Road (NFSR) 333A in effect for October 22, 2018 and shall remain in effect until June 1, 2019 or until: the Order is rescinded, whichever occurs first. 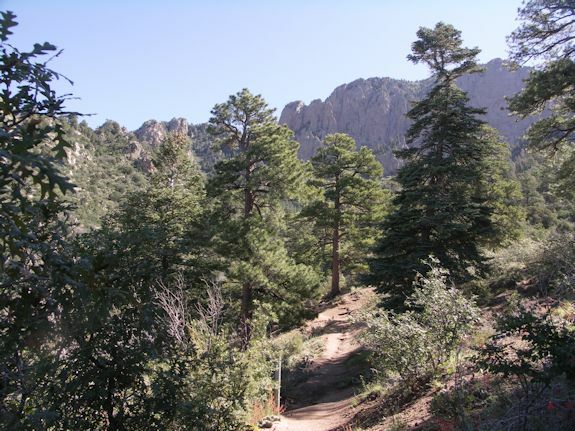 Albuquerque, NM, October 17, 2018 – Closure Order 03-0674 has been issued for the La Luz trailhead and parking area along with National Forest Service Road (NFSR) 333A in effect for October 22, 2018 and shall remain in effect until June 1, 2019 or until: the Order is rescinded, whichever occurs first. 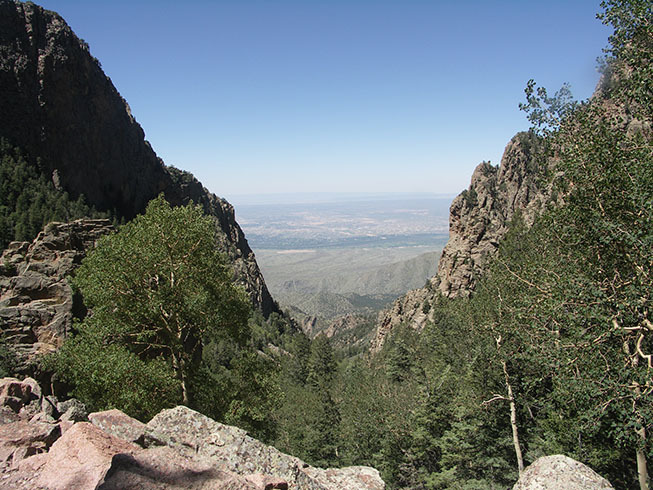 La Luz trail gives you panoramic views of Albuquerque. 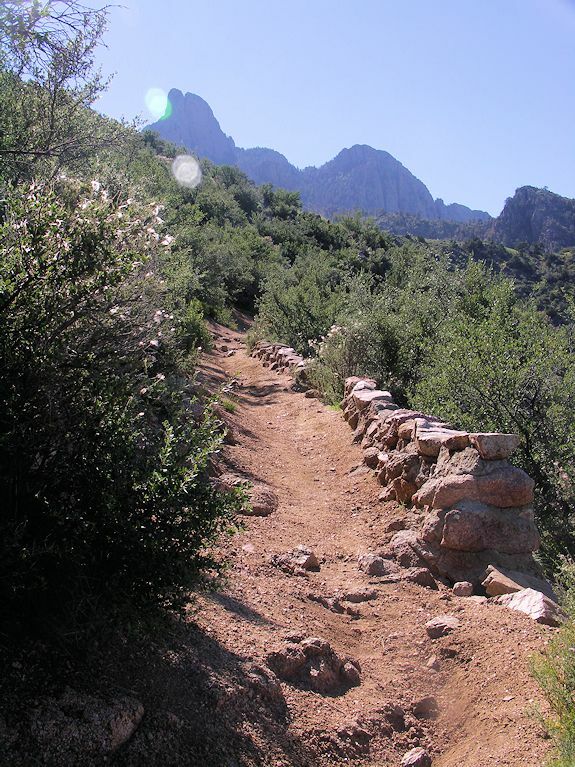 As you hike you are treated to ever-changing views of cliffs and trees and wildflowers. The wildflowers are amazing many are unfamiliar. After hiking up the trail take the tram ride down and have someone pick you up. The walk back to the trail head is hot in the summer and there is no shade. At the crest the High Finance restaurant is now closed. The Restaurant atop the Tram has been demolished and construction of a new facility to replace it has begun with an anticipated opening of Spring 2019. Level of difficulty: Strenuous. Take plenty of water and high- energy food, and give yourself plenty of time to descend before darkness. Careful: Be prepared for unexpected weather changes and a full day of hiking if you plan to reach the crest. Take rain gear and warm jackets, and make sure everyone in your party is physically up to the challenge. Hiking part way and turning around is a good plan when first starting out. Water: 2 quarts per person min. Also take food and snacks for the trip. for day to day news. . The trail is tricky, some times switchbacks uo the side of a rockslide, Make sure your footware has ankle support. The first half of the trail is nice and well maintained. 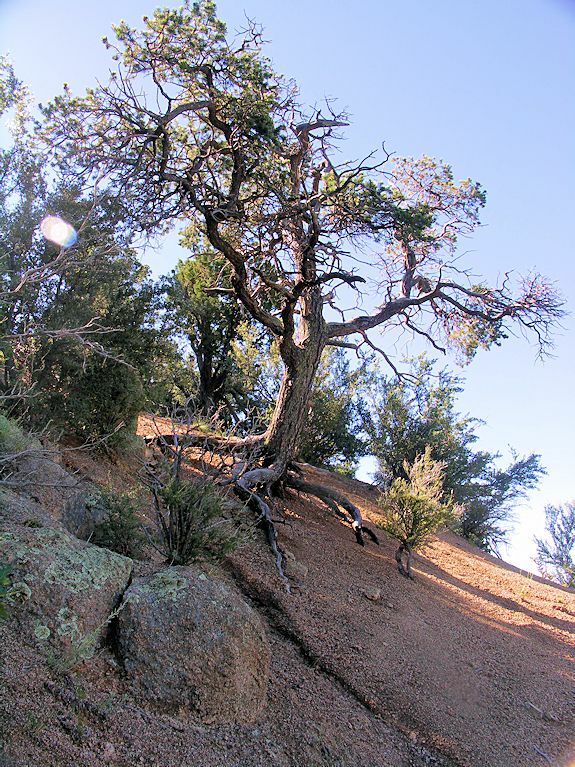 Beautiful trees like ponderosa pine grow in the middle of the hike. This old twisted juniper is right on the trail. Every twist and turn leads to new spectacular views. You are rewarded by a great view from the top. Please be prepared, Three people lost thier lives on this mountain in 2015.